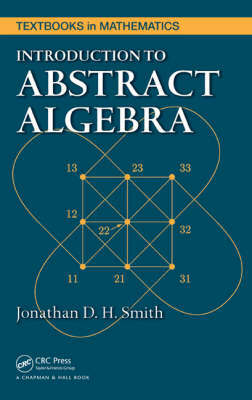 Taking a slightly different approach from similar texts, Introduction to Abstract Algebra presents abstract algebra as the main tool underlying discrete mathematics and the digital world. It helps students fully understand groups, rings, semigroups, and monoids by rigorously building concepts from first principles. A Quick Introduction to Algebra The first three chapters of the book show how functional composition, cycle notation for permutations, and matrix notation for linear functions provide techniques for practical computation. The author also uses equivalence relations to introduce rational numbers and modular arithmetic as well as to present the first isomorphism theorem at the set level. The Basics of Abstract Algebra for a First-Semester Course Subsequent chapters cover orthogonal groups, stochastic matrices, Lagrange's theorem, and groups of units of monoids. The text also deals with homomorphisms, which lead to Cayley's theorem of reducing abstract groups to concrete groups of permutations. It then explores rings, integral domains, and fields. Advanced Topics for a Second-Semester Course The final, mostly self-contained chapters delve deeper into the theory of rings, fields, and groups. They discuss modules (such as vector spaces and abelian groups), group theory, and quasigroups.